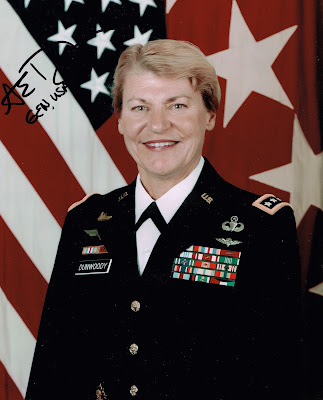 Ann Dunwoody is a retired US Army General. She was the first woman in the US military to achieve a four-star officer rank. She became the Army's top-ranking woman when she was promoted to Lieutenant General and became the Army's Deputy Chief of Staff in 2005. She was nominated as Commanding General of the US Army Material Command in 2008 and served in that position until her retirement in 2012. She sent me a signed photo in my SASE in 21 days.